Barbara Lois King Woods, 85, of Hamburg, died Sunday, July 1, 2018. Mrs. Woods was a native and lifelong resident of Hamburg. She worked as a Certified Nurse’s Assistant and was a member of the Southside Baptist Church. 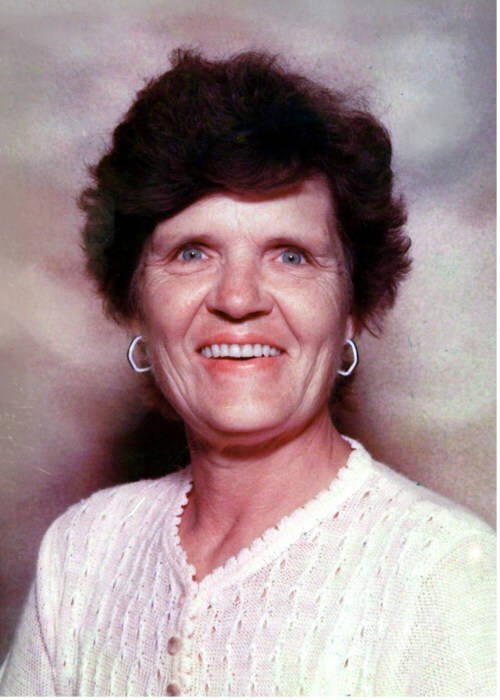 She is preceded in death by her husband, Vernon Woods in 1988; two sons, Bobby Wayne Woods and Billy Woods; her parents, William “Bill” and Geneva Norrell King; a brother, Billy King; five sisters, Peggy Woods, Susan Savage, Nancy Gail Barnett, Mary Smith and Vickie King; a granddaughter, Frannie Adams and a grandson, Marshall Fields. She is survived by three daughters, Lois Keathley and husband, Clyde, of Vicksburg, Mississippi, Ruthie Watt and husband, Curtis, of Hamburg and Cindy Cole and husband, Bubba, of Columbus, Mississippi; four sons, Timmy Woods and wife Mary, Kenneth Woods and Karl Woods all of Greenville, Mississippi and David Woods and wife, Susan of Haynesville, Louisiana; two brothers, Bruce King and wife, Darlene, of Hamburg and Reggie King of Fountain Hill; two sisters, Dixie Fairchild of Hamburg and Patty Griffith of Fountain Hill; 23 grandchildren, numerous great-grandchildren and a host of nieces and nephews. Funeral services are 2 p.m., Tuesday, July 3, 2018 in the Jones-Hartshorn Funeral Home Chapel with Bro. Kenneth Watt officiating. Burial will be in the Carlock Cemetery. Pallbearers are Jeff Fairchild, Kenny Leveritt, David Woods, Chad Leveritt, Jacob Baker and Billy Parker. Honorary pallbearers are her grandsons.